KB isn't so much CT anymore is it? Except for the wasting time part. OHMYGAWD I would never say something so terrible as that!!! One or 2 good laffs in there too along the way, sure. I have to say, I like the new layout, and you can't even use most of the other interesting forums on a tablet or phone. I got banned from a forum recently for suggesting they make it responsive. Touchy subject/ weird owners and mods always needing money, and they have so many ads and popups, you cant even post there on a phone. He didn't seem very happy about that big bird. I'm tired of posting where the only thing on the owners mind is donations. I'm out of there, done with the boring people. All the stupid people end up at that shithole. Well I'm glad to see you here, because we happen to be the most interesting ppl in the world. you will thanks me for this. Funny, that wasn't half as interesting as I thought it would be. 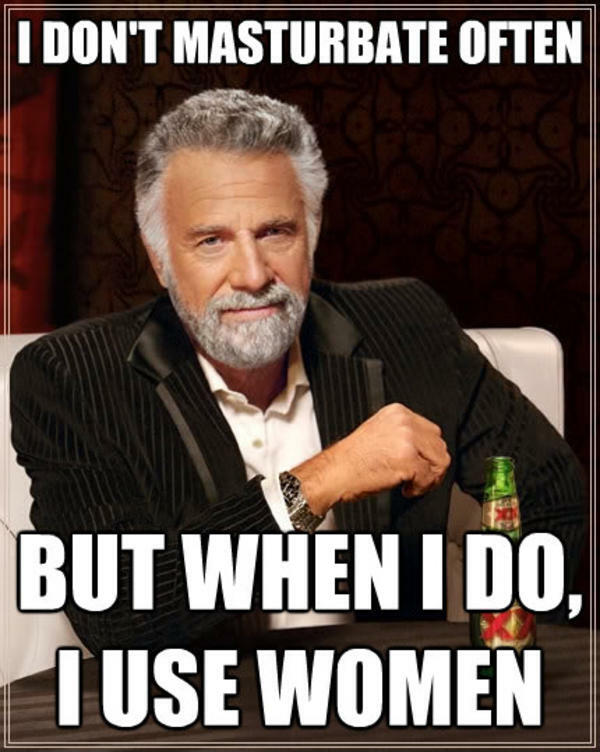 I don't think that was really the most interesting man in the world. (04-15-2017, 06:12 PM)Anonymous Kritter Wrote: I don't think that was really the most interesting man in the world.